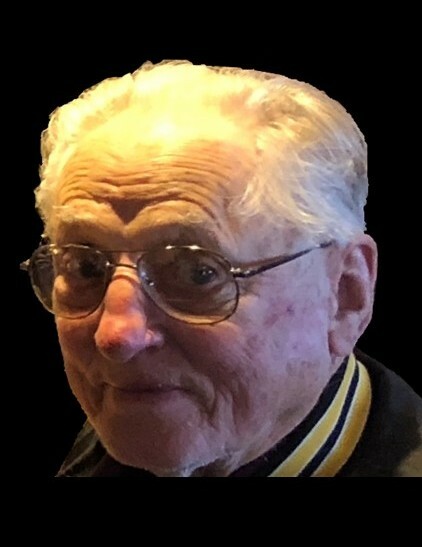 On Monday, October 15, 2018, Donald James Rojem ascended with the angels to be with God and Jesus at the age of 88. Born on March 29, 1930, Don was a Boilermaker for 65 years and a published poet. “Don” will be lovingly remembered by his wife of 64 years, Joyce Ann Moody Rojem, sisters Marge Gifford and Gladys Tremper, brother-in-law Norm Manders, his daughters Enga Rojem (John) Allen and Tena (John) Rojem-Bender, and son Charles “Charley” Rojem, his grandchildren Charlie Rojem Jr., Cody (Megan) Rojem, Josh (Tami) Rojem, Tiffany Bender, James Bender, Freda (Darren) Butler, Brandon Allen, and Evan Allen, great-grandchildren Evie Rosa, Jack, Hans, Coco, and Cole. Don was preceded in death by his parents Walter Rojem and Gladys Ross Rojem, one sister Marie Rojem Manders and brothers Rickie and Walley Rojem. Don loved God, his church, the Boilermaker Brotherhood, being a Democrat, farming, bee keeping, telling stories, reciting his poems, traveling - especially Hawaii or Alaska to pan for gold, hunting, and fishing. Visitation will be from 12 till 2 p.m. on Saturday, October 20, 2018 at Lawrence Funeral Home. The funeral service will follow at 2:00 p.m. with Richard Sport officiating. Burial will be in the Moody Family Cemetery. Pallbearers will be Charley Rojem, Cody Rojem, Josh Rojem, Brandon Allen, Evan Allen, and Mark Moody. Honorary pallbearers are James Bender, Jack Butler, Darren Butler, and Hans Butler. Donations in Don’s memory can be made to Room at the Inn Shoals, 2202 Chisholm Road, Florence, AL 35630.